This page contains answers to commonly asked questions about Woo and WooCommerce. How Do I Install My Woo Theme? How Do I Customize My Woo Theme? How Do I Get Support For My WordPress.com Theme? What Themes Does WooCommerce.com Use? Is It Possible To Upgrade My Purchases? What Is The Difference Between The Theme Packages? What’s The Big Deal About The PSD File? I Can’t Find My Theme, Is It Retired? How Do I Access Your Free Themes? How Many Sites Can I Use My Key On? I Made A Purchase Before the Changes. How Long Is My Subscription Valid? What Happens When My Subscription Expires Or Is Deactivated? How Do Keys Work with a Multisite Network? Can I Transfer a Key to My Client? My Product Is Free, Do I Need To Renew? What Happens to Licenses that were Purchased before the Switch to Subscriptions? Are Auto-Renewals Enabled on My Purchases? How Do I Enable Auto-Renewals? What Payment Methods Can Be Stored? Can I Store More Than One Payment Method? How Do I Disable Auto-Renewals? Can I Enable Auto-Renewal on One Product but not Others? What is the difference between a WordPress plugin and a WooCommerce Extension? 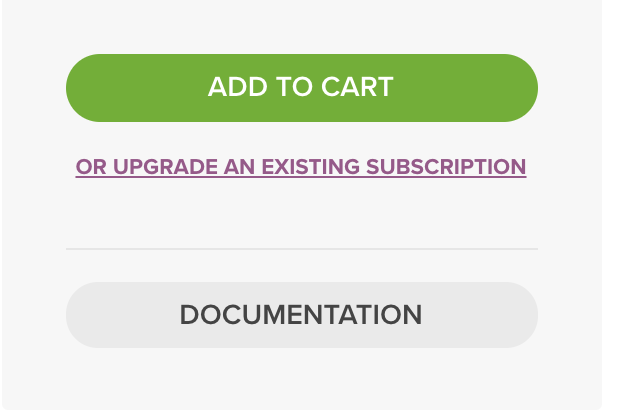 How Do Tiered Subscriptions Work for Plugins and WooCommerce Extensions? Is Buying A WooCommerce Extension A One-Time Charge? Does WooCommerce Charge Any Fees Per Transaction? Can I Remove The Woo Footer Credit? Do Your Themes Work With WordPress Multisite (WPMS)? WordPress is a content management system (CMS). It’s simple yet powerful software that helps you create, manage, and share your content on the web. Currently WordPress has two flavors, WordPress.com (hosted) and WordPress.org (self-hosted). While we have themes for both, all themes from Woo only work with the WordPress.org (self-hosted) software. You can find themes on our theme page. A theme, synonymous with template or skin, is a ready-to-use layout and design that you can activate on your WordPress site. WordPress handles all of the content for you (posts, pages, comments), while the theme transforms that content into a beautiful and clean layout for visitors to enjoy. Many themes come with configurable options via the WordPress Customizer. Once you have installed WordPress on your site, it’s straightforward. Follow the instructions outlined in Installing A Woo Theme. This is a question that depends on what you want to achieve with your theme. Things like the ability to upload your own custom logo and add a background to your theme, etc. are built into WordPress and controlled by the Customizer. Outside of our theme settings, you need a basic understanding of HTML and CSS to tweak the layout and style of your theme. To dig deeper, PHP knowledge specific to WordPress is also helpful. The WordPress Codex is a great place to start learning. Finally, when you are ready to customize one of our themes, a child theme is the best approach. A child theme is a place to house customizations and modifications to its parent theme. Be amazed by what you can do with a child theme, a basic style.css, and a functions.php file. Here’s our tutorial on child themes. There are many resources out there for creating child themes; it only takes a quick search! The themes you get from Woo work on self-hosted WordPress installations made possible by WordPress.org. If you have a WordPress.com Business Plan, you can also upload your own Woo themes to your site by going to My Site → Themes, then use the Upload Theme button. For themes purchased on WordPress.com, you need to log into WordPress.com and go to the premium themes support forum. Our website is using a child theme based on Storefront, all powered by WooCommerce and a few bits of custom code. The best way to get help with Woo products is to search for answers in our Documentation. We’re creating and maintaining resources that help you to help yourself. If you need additional assistance, you can go to the Help Desk to start a live chat or submit a ticket. Product support via phone, Facebook or Twitter is unavailable at this time. Please read our Support Policy for further information. We unfortunately don’t, as mentioned above. If you have pre-sales or support questions, contact us here! Find the product you wish to purchase, click the Buy button, and select your subscription or package. You’ll then be taken to our checkout page where you can log into your existing WooCommerce.com account to use saved information or register a new account. The checkout process is below the register area. If you are having trouble logging into your account, please contact us and we’ll sort it out. If you don’t see your purchased products on the My Account page, please contact us. If you have another WooCommerce account or bought a product on behalf of a client, be prepared to provide that information. We currently accept payment via our Stripe account: Visa, MasterCard, JCB, Discover, Diner’s Club and American Express card. More information at Cards and Payment Types accepted by Stripe. We are an American company, so all prices are in US Dollars (USD). Sorry about that. Please contact us, and we’ll be happy to assist. Yes, in your account dashboard you have a link to upgrade any purchase. If you click to upgrade, you are taken to the checkout page and asked to pay the difference between packages. To upgrade your plugin or extension, see How to Upgrade. WooCommerce no longer sells a theme package. However, in the past, the Standard Package included the theme (.zip file). The Developer Package included the theme (.zip file) and a PSD (Adobe Photoshop) file for the homepage layout. The All Themes Package gave access to all themes in the catalog, including all child themes and all PSD files. You receive updates and support for as long as your subscription is in effect. Please refer to our Subscriptions section. You stop receiving product updates and support when your Subscription has expired. You can still use your theme; it will still work. Please refer to our Subscriptions section. Our Developer Package and All Themes Package included the PSD file. The Standard Package did not. The PSD files (original design in Photoshop format) came in handy when making structural and design changes to a theme before jumping into code. This option was usually selected by design agencies and freelancers who need to mock up an initial site design (jpg, gif, png or psd format) to present to clients. They then didn’t need to get their hands dirty in PHP/HTML/CSS before having the exact design brief in hand. Lots of our themes depend not only on styling colors/typography in CSS, but also on background images. Using PSD files allows for quick tweaks to these images. You can, of course, re-create images if you know your way around Photoshop, but for novices this should set you in the right direction. Yes, you can review theme demos or access each from its Woo product page. If you have questions on how our themes work, you can read our Theme Documentation for more information. We also have a 30-day money back guarantee that allows you to try the theme. If you aren’t satisfied with your purchase, we are happy to exchange your theme or issue a refund. To add a free theme to your account, you must select the free theme from our free themes section, then Free Download, then Add to Cart. Going through the checkout process is free and adds the theme download to your account, along with the subscription key. After checkout, you can access the theme download on your Account Dashboard and access the key on the My Subscriptions tab. All products from WooCommerce.com have keys, and an active subscription allows you to access product updates and our support team. We have User keys offered as in a single, 5-site and 25-site package. We do not have Developer Keys/Licenses with a higher level of support. As of November 2016, one valid subscription key can be used on an active site and a staging/test/development site. This allows you to test your extensions in a live and development environment simultaneously, without the need to swap or activate, deactivate and reactivate. If you have a 5-site subscription, then 5 active sites and 5 test/development sites. If you have a 25-site subscription, then 25 active sites and 25 test/development sites. We classify each “site” as an activation URL. What is classified as an activation URL? Protocols – Due to how we handle activation URLs, the http “version” is not the same as https – this could count as a new site, or one would be classified as the dev/staging/test site and one would be classified as live. One Development site:dev.woocommerce.com / + One Live site: woocommerce.com = One (1) full subscription key used. If you purchased a product before August 1, 2013, which included lifetime support and updates, you had the option to grandfather your purchase under these terms before August 1, 2015. Everyone who qualified was sent five notices — one at 90 days, 60 days, 30 days, 2 weeks and on August 1, 2015. A link to auto-grandfather was also available on qualifying accounts until August 1, 2015. The deadline has long passed. “Lifetime” referred to the lifetime of a product, not a purchaser/buyer’s lifetime. If your original purchase was grandfathered for lifetime support, you remain on these terms if upgrading your subscription. If auto-renew is enabled, your subscription renews on the due date and your card is charged. An email notification and receipt are sent to confirm you paid for another year. You are sent a renewal reminder email 60, 30, 14, 7 and 2 days prior to the subscription renewal date. You can also find a renewal information on the My Subscriptions page. These emails are also sent if auto-renew is disabled. Subscriptions are billed annually at 100% of the purchase price. Coupon codes or other promotional discounts do not apply to renewals. If your subscription has expired or did not auto-renew, you can still use the product on your site for as long as you like but you can no longer access the file for download or receive support or updates for the product. Many of our store owners download their product(s) before the expiration of their subscription to keep a copy on file, if they know they cannot or will not renew. If you are having trouble with the product, go to the product page and check the Changelog to see if an update may help address the issue. When a product is not working, updating should always be the first step when troubleshooting. On a WordPress Multisite, all plugins are stored in one location. When you update your plugin in the Network Admin, all sub-sites receive the update. To access support and updates, you need one subscription key for each site where the plugin/extension is activated. To deactivate your key and reactivate on another site, deactivate the key from WooCommerce Account Dashboard – My Subscriptions. You can then activate on the new site to start receiving support and updates for that URL. Note that you no longer need to follow this process to use a subscription key on a test site or in a development environment – the key will work automatically. A single site subscription can be transferred. If you and the recipient both have a WooCommerce.com account, follow the instructions at Transferring WooCommerce.com Subscriptions. The recipient must have a WooCommerce.com account and can sign up for one at Create an Account. Multisite subscriptions. You can request that all 5 or all 25 subscriptions be transferred to a single account. Otherwise, open a new ticket and allow us to assist you at the Help Desk. Or have the client open their own WooCommerce.com account and purchase their own subscription/key. No. Free products are automatically renewed to ensure your key continues to work and that you have access to support, updates and the downloadable product. If you only have free products, you need not store a payment method for renewals. Licenses were purchased manually each year, while subscriptions are automatically renewed until you choose to cancel. Other than that, subscriptions work much the same as licenses. We made this language change in February 2016 to better reflect what we want to provide our customers. Rather than a one-time purchase, we wish to create an ongoing relationship with our customers, and felt that the term “subscription” better captured our intentions. Existing licenses are now active subscriptions, but we have not turned on auto-renew for these. To ensure your subscriptions stay active, please add a payment method and enable auto-renew on your existing subscriptions. To keep language consistent, license keys are now called “keys,” but all active products continue to work without needing to activate a new key. For purchases made after February 2016, auto-renew is enabled by default. For purchases made before February 2016, you have the option to enable auto-renew on a per-product basis. You can review renewal settings by visiting the My Subscriptions page in your account. For purchases made prior to February 2016, automatic renewals can be enabled by visiting My Subscriptions. Follow the prompts on this page to add a stored payment method for automatic billing. Once your payment information has been added, you can toggle auto-renewal on from the right side of each product listing. Visa, MasterCard, JCB, Discover, Diner’s Club and American Express. More information at Cards and Payment Types accepted by Stripe. You can only store one payment method per account. For developers building sites for clients, we recommend that the client owns his/her subscriptions on their account. To disable automatic renewals for a product, visit the My Subscriptions page and toggle auto-renewal off from the right side of the listing. Disabling auto-renew is also a way to pay “manually.” Enter a credit card to enable auto-renew, allow payment to be taken on the due date, and then disable auto-renew. Yes, you can toggle this on and off per product, regardless of whether products were purchased as part of the same order. An extension is a WordPress plugin that requires a base plugin to work and function. In this case, you must have the WooCommerce plugin installed to use WooCommerce extensions. We practice a lean product development approach at Woo, which means we do not believe in adding unnecessary features.This would cause extra product bloat and potentially slow down a site. This is why we build WooCommerce extensions separately. This allows you to customize your site to only include features you need to run your online shop. When buying a plugin or WooCommerce extension, you can choose how many WordPress installations for which you wish to receive support and updates. Each installation requires a key. There are single, 5-site or 25-site subscriptions for your plugin. Read more at Subscription FAQs. When purchasing a Woo product, you are purchasing a subscription to receive updates and support. Subscriptions are billed annually. Please see the Subscription Renewals section for more info. Can WooCommerce handle thousands of products? Yes! This is dependent on both WooCommerce and your web host. WooCommerce by nature needs more memory than a basic WordPress install, and this isn’t typically an issue with a decent host. We have optimized WooCommerce, and continue doing so to make it better. WooCommerce can handle a big site with lots of orders, and our own site is proof of that. No. The only fee you pay at Woo is your yearly subscription fee for the extension. It’s normally only the payment gateway you use that charges a fee per transaction, and fees vary by gateway. You can find rates on their sites to make the best choice for your shop. We do not offer a trial or test version of our plugins/extensions. This is why we offer a 30-day money back guarantee. If you find the product does not work the way you need, we can issue a refund. Yes, it is our duty to keep themes updated and working with the latest version of WordPress. Currently, our themes are developed and fine tuned for WordPress 4.0 or higher, and any version prior to that may encounter problems with theme functionality. Yes. All of our themes are localized using GNU gettext functionality. That means each of our themes includes a (.po) file with all of the English terms we used, enabling users to only edit one file to translate our themes to any language in the world. For more detail, read our tutorials on Translating Themes or Translating WooCommerce Extensions. We test all our themes with the latest version of Internet Explorer, Firefox, Safari and Chrome. On operating systems, our themes are tested with the latest version you use and to work with a proper WordPress installation. We don’t support older versions of Internet Explorer. Please consider upgrading to the latest version for optimal performance and experience or switch to a different browser. The Web will thank you! We currently support all versions of WooCommerce 2.0 and above. Ideally you are running WooCommerce 3.2x to stay updated with the most secure version of WordPress, which is 4.9. Yes! You can remove any credit link in the footer, which doesn’t violate our Terms & Conditions. See documentation at: Remove Woo Footer Credit. We update our themes any time we discover a bug or there is a new feature we feel should be added. View the changelog on your Downloads page to check the latest version. First, in every theme package we include a changelog.txt that includes all changes for each version. This changelog is also available via your Downloads page and the documentation for each theme. It’s worth reading to understand if the changes are valuable to you and your site. Of course we recommend staying updated. If you haven’t made modifications to theme files, then you can overwrite your existing theme files. If you have made modifications to your theme, you need to study the changelog to see which files need updating. You can also compare your old modified file against the updated file with a good HTML Editor or use an online tool. We suggest using child themes to save and preserve modifications. This saves you the headache of comparing files and worrying about overwriting customizations. More at Best Practices when Customizing a Theme. Yes, most plugins should work with our themes. HOWEVER, we can’t guarantee they all will. There are some plugins that conflict with code used in themes and cause them to function improperly. There are thousands of plugins available, and it would be impossible to test every single one with our themes. If the plugin has been coded to WordPress standards, it’ll work 99% of the time. Yes, you can use our themes on an unlimited number of domains. Yes, we highly encourage it! The logo is a PNG file used only as an example. You can upload your own image logo in our options panel, or instead set a text title. Our themes aren’t specifically developed to include BuddyPress integration. But with the release of BuddyPress 1.7, they’ve made BuddyPress work better with all themes. We’ve not tested our themes with BuddyPress, though you should now have better integration. Yes, we have a page containing each theme’s demo content ready for you to download, set up, and test with your theme. Go to our Theme Demo Content page now! Do I Receive Support for the Theme I purchased on WordPress.com? What Theme Does WooCommerce.com Use? What Is The Difference Between Theme Packages? Is Buying A Plugin or WooCommerce Extension A One-Time Charge? Can I Use Your Themes For Clients’ Sites?